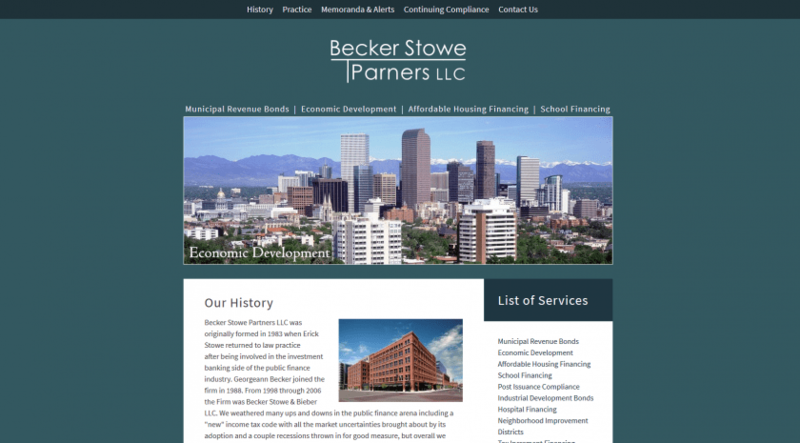 Becker Stowe Partners LLC was originally formed in 1983 when Erick Stowe returned to law practice after being involved in the investment banking side of the public finance industry. Georgeann Becker joined the firm in 1988. From 1998 through 2006 the Firm was Becker Stowe & Bieber LLC.